The wild narcissi decorate the spring countryside in Ausseerland – Salzkammergut. It transforms the idyllic alpine region, from the Dachstein, Loser and Toten Gebirge into a fragrant sea of flowers. Yellow, white and green as far as the eye can see. 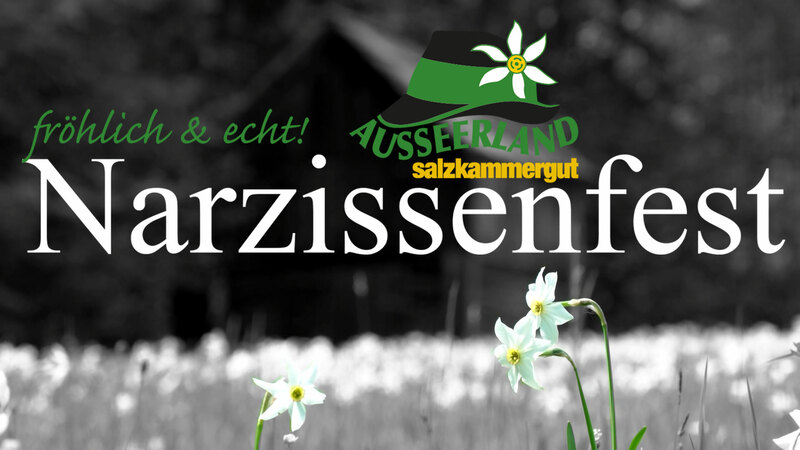 In Ausseerland – Salzkammergut, the white star-shaped narcissi, are in bloom between the middle of May and the middle of June, depending on the altitude. Narzissenfest, Austria’s largest flower festival, takes place at this time every year. The festival links the local traditions and friendly hospitality with the natural surroundings of the area. A colourful program of events allows guests to mingle with the local community and admire the sweet-smelling, imaginative figures hand made from narcissi. We welcome you to our Narzissenfest!